A lasercut model of a Jagtiger that is motorized. 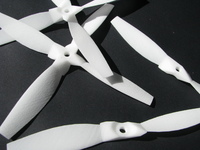 You will need 3mm material to cut the model in its original scale. In addition, some 3mm rods and M3 screws that are mentionned in the assembly instructions below. See also my Panzer IV G, my KV-1, my StuG III F, my B1 bis, my Sherman in the same scale. Thanks Hackspace Magazine for make me appear in its 10th issue ! you can view it or buy on this link .